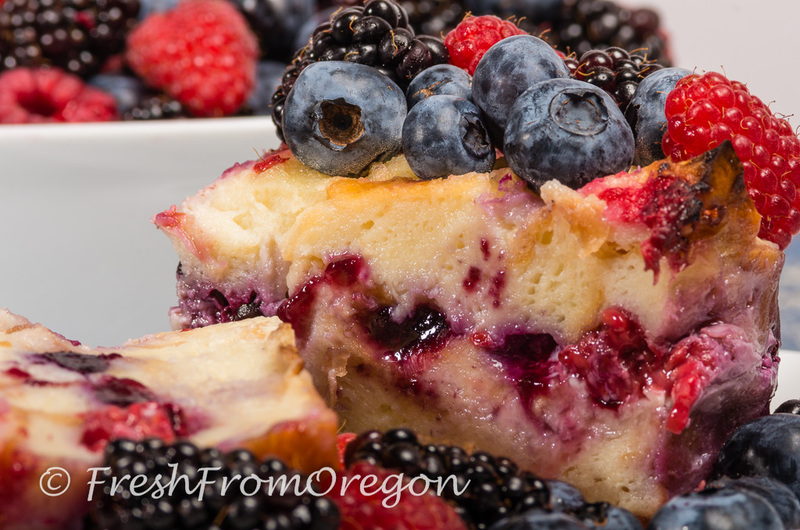 Here is a good bread pudding to making in the summer months when the berries are ripe and juicy. 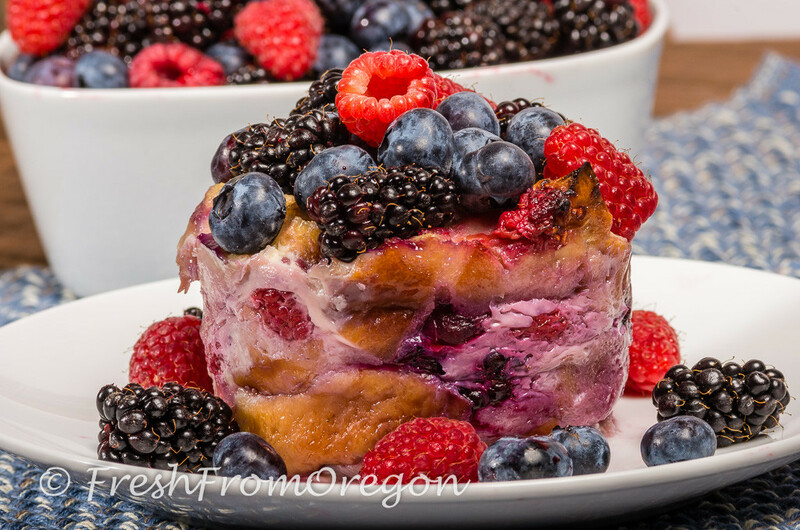 You can make this bread pudding with just one type of berry or as many as you like. The egg custard layered with these juicy berries will melt in your mouth. I baked in 6 medium size ramekins but you can also bake in a 13×9 baking dish or 2 bread loaf pans. Serve it in the morning, afternoon or evening for a sweet taste of summer. In large bowl place cubed bread, set aside. In medium bowl beat eggs, sugar, milk and vanilla. 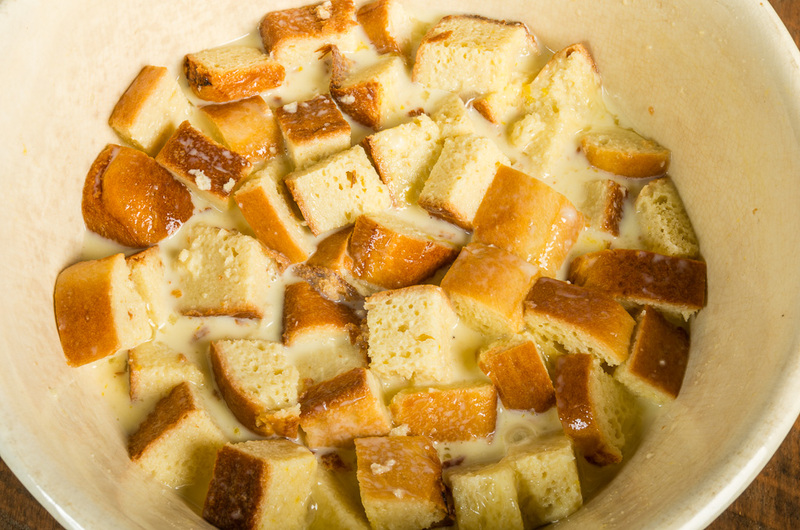 Pour milk mixture over bread cubes and let set for 30 minutes. Grease 6 medium ramekin baking dishes. 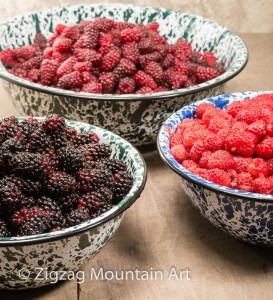 Place about 1/2 cup of the cubes of bread in each greased ramekin, sprinkle with 1/4 cup of the mixed berries, add another 1/2 cup bread cubes, sprinkle top with 1/4 cup of mixed berries. There should be a small amount of egg mixture left in the bowl, evenly divide among the six ramekins. Place ramekins on a baking sheet and add about 2 cups of water to the baking sheet. Bake at 350 degrees for 1 hour or until golden brown and knife inserted comes out clean. Remove and cool for about 10 minutes if you would like to serve warm. Once cooled completely you can refrigerate to serve later or the next day. When you are ready to serve run a knife around the outer edge of the bread pudding and flip over to remove the bread pudding. Top with remaining 1 cup of fresh berries or mixed berry sauce below. Refrigerate any leftovers. Combine sauce ingredients in saucepan. Cook over medium heat until the sauce thickens, about 10-15 minutes. 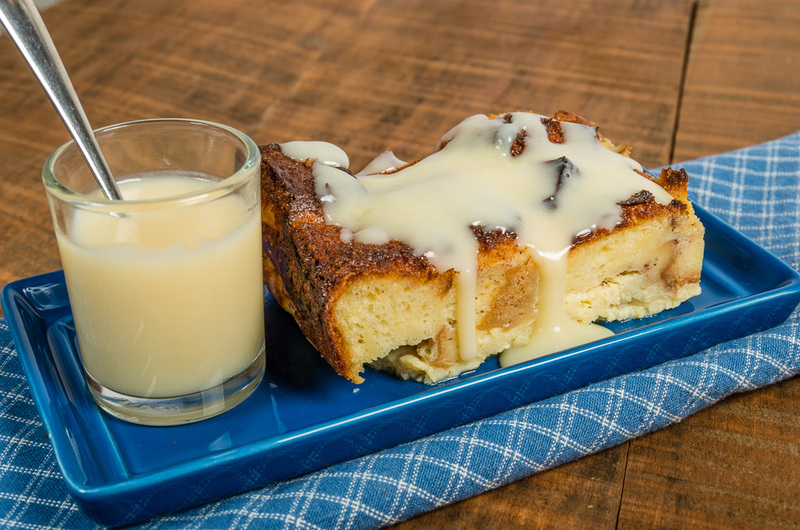 Serve warm or cold over the bread pudding. 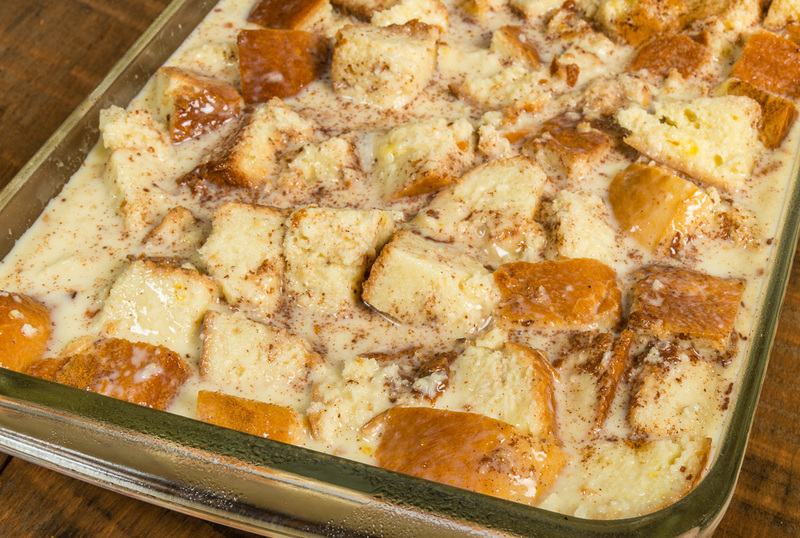 Here is my second bread pudding recipe for my 2015 bread pudding mission. 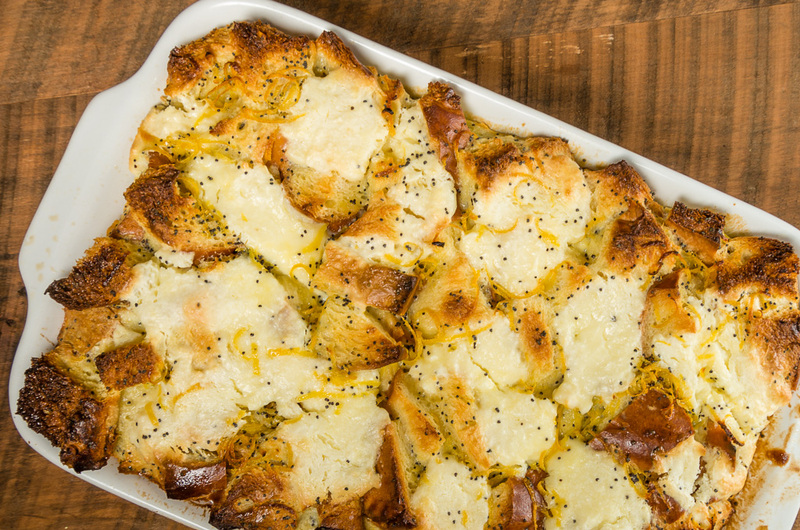 This bread pudding is layered with a lemony cream and sprinkles of poppy-seed. If you think this is not enough lemon wait until you pour some warm lemon sauce over the top. 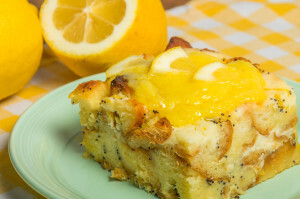 A burst of lemon flavor is in every bite! To make the bread pudding heat the milk with the sugar in a pan on low heat (or in a microwave) and stir until completely dissolved. Remove from the heat and let cool for 5 minutes. Transfer this mixture to a bowl and mix in the heavy cream. 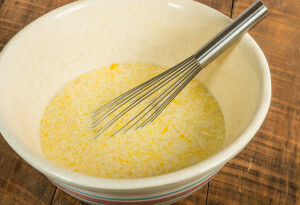 Whisk in the eggs and egg yolks gradually until well combined. Add the vanilla, lemon juice and lemon zest. Mix well. Stir in the poppyseeds. Set aside. In another bowl, beat the cream cheese together with the sugar and lemon juice; set aside. Spray an 8×8 inch square baking dish with cooking spray. 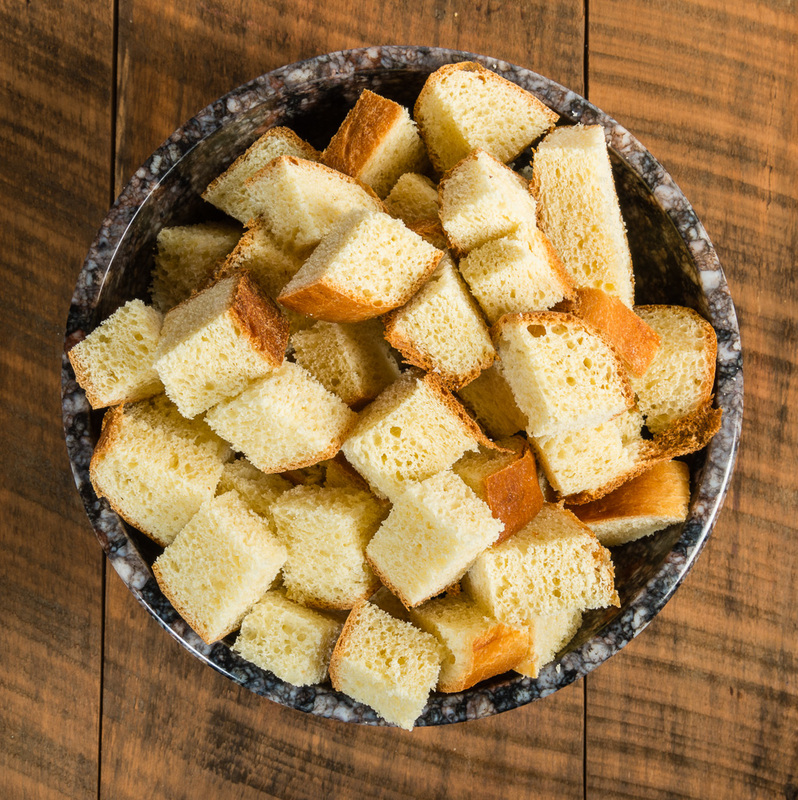 Arrange half the amount of bread cubes in a single, even layer. Drop dollops of the cream cheese on top of the bread cubes. Pour about 3/4 cup of the custard mixture over the bread cubes. Top with the remaining half of bread cubes. Drop dollops of the remaining cream cheese over the bread. Carefully pour the rest of the custard mixture evenly over the whole thing. 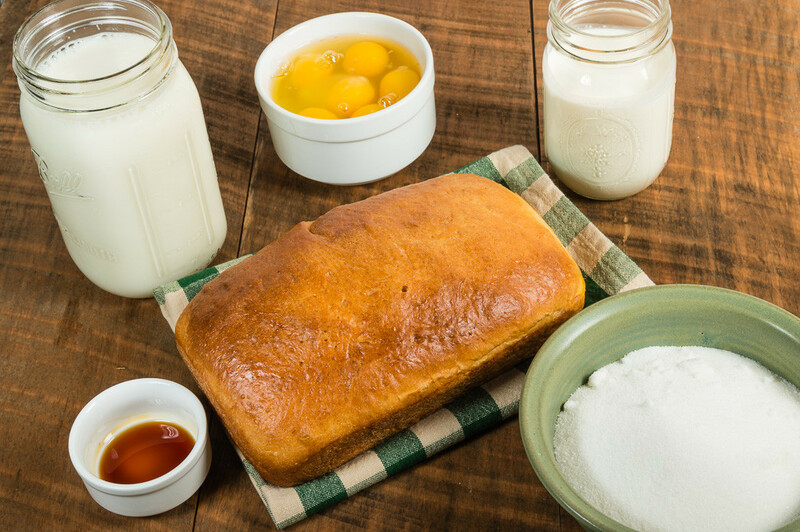 Set aside for 1 hour at room temperature or overnight in the fridge, covered and let come to room temperature for 30 minutes before baking. Bake at 350 degrees uncovered for 45-50 minutes until the pudding is set. Best served warm drizzled with the warm lemon sauce. To prepare the lemon sauce combine the cornstarch and water in a small bowl. Mix well. 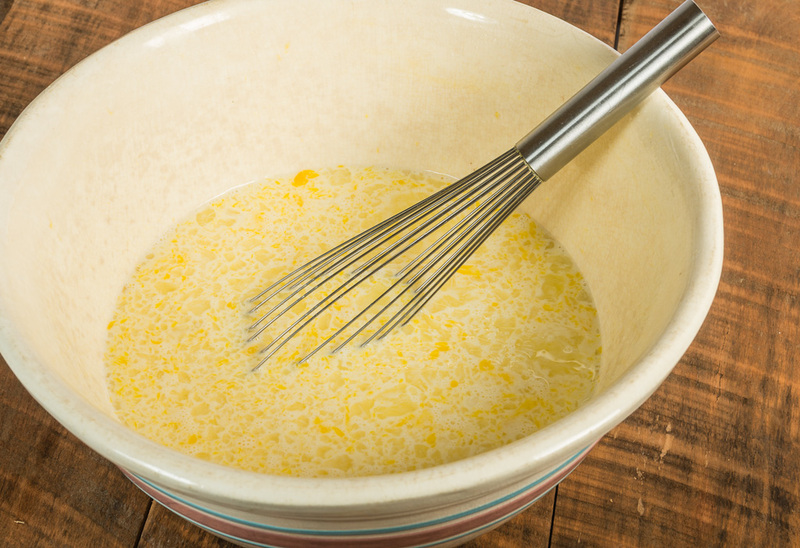 Whisk the egg yolks, sugar, lemon zest and lemon juice together in a pan over low heat. Stir constantly for about 4 minutes until slightly thickened. Stir in the cornstarch mixture and continue stirring for 3 minutes or more until thick enough to coat the back of a spoon. Remove from the heat and add the butter, one cube at a time. Stir until smooth. Transfer to a container. Press a sheet of plastic wrap on the surface of the curd to prevent a skin from forming. Refrigerate until ready to serve. 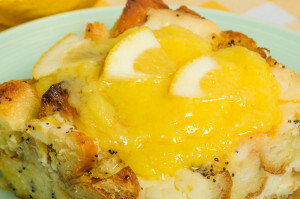 Heat in the microwave quickly before serving with the bread pudding.